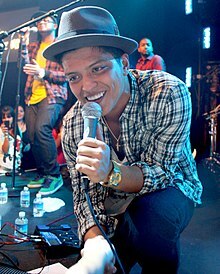 ^ a b c d e f g h i j k l m n "Canadian certifications – Bruno Mars". Music Canada. Retrieved September 22, 2012. ^ "New Zealand single certifications – Mark Ronson feat. Bruno Mars – Uptown Funk". Recorded Music NZ. Retrieved September 25, 2015.